* 7 Jan – 8 Feb and 18 Feb – 21 Mar. 2 people per room. Classes start on Monday. Minimum 5 nights stay. 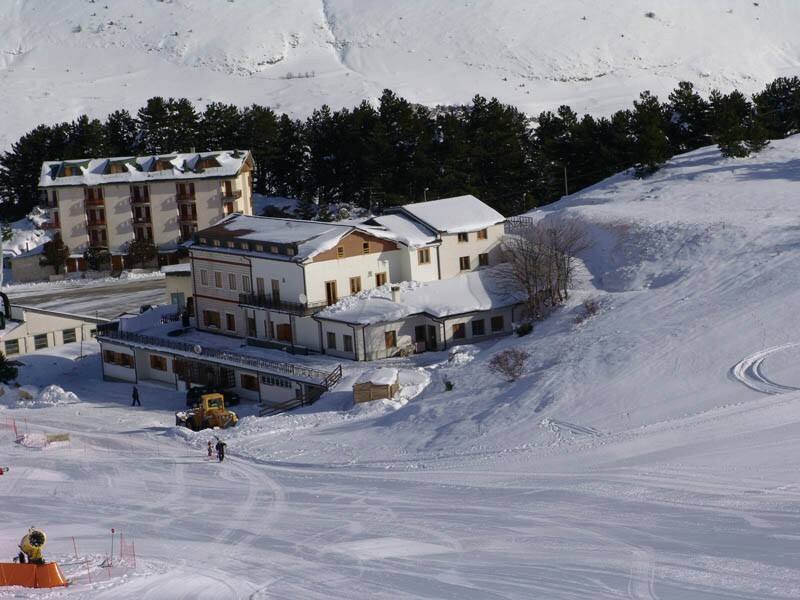 Hotel Vallefura is a cozy, family run hotel located in a panoramic position directly on Pescocostanzo’s ski slopes (8 km), above the beautiful village of the same name in the Majella National Park. 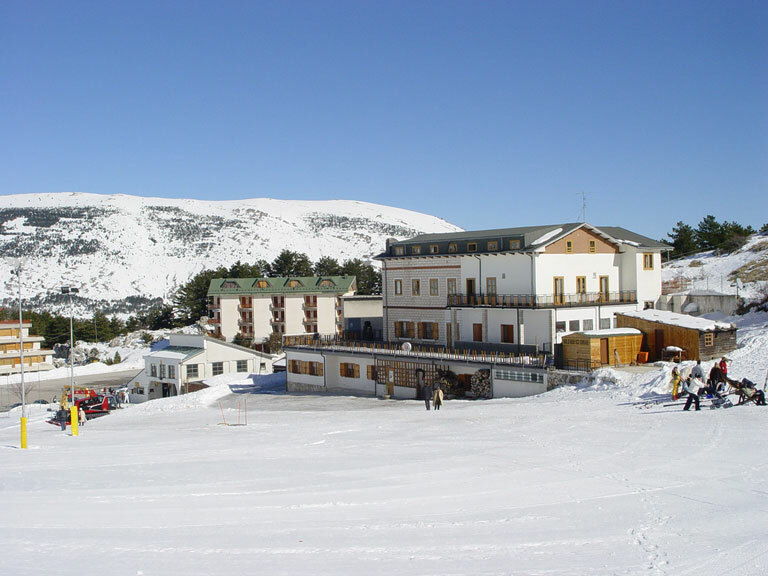 The hotel is located at an altitude of 1,440 m opposite the quad chairlift of the ski area, where ski school meets. This small area is perfect for learning to ski or snowboard before ‘graduating’ to the extensive slopes across the valley in Roccaraso (110 km of piste). Prices based on a minimum of 5 nights stay, half board, 2 adults sharing. Low season from €50 per person per night. High season from €55 per person per night. These examples include the Christmas and New Year period. Decorated and furnished in a warm mountain style, the Hotel Vallefura has 24 comfortable guest rooms sleeping up to four people. Its position at the base of Pescocostanzo’s pistes means that guests can ski to the door for lunch and at the end of the day. Guest facilities include a welcoming tavern with log fire, bar and restaurant where tasty meals are served. The sun terrace outside is a popular spot to watch skiers over a drink or lunch on a sunny day. There is also a souvenir/convenience shop and a games room including table football and billiards. English is spoken. There are 24 guests rooms in the Hotel Vallefura, sleeping up to four people. The comfortable rooms are equipped with private bathrooms, including shower, w.c. and hairdryer. Bedroom facilities include telephone and television (Italian channels only). Some rooms on the second floor have balcony. The attractive dining room serves breakfast, lunch and dinner each day, although lunch can be taken outside on sunny days. The Vallefura has an excellent reputation for its food and service, and has many glowing comments on a popular review website! Each morning a buffet breakfast is served including pastries, breakfast cakes, tart, biscuits, jam, honey, Nutella, butter, fruit juices and cold milk. Hot drinks are served at your table. 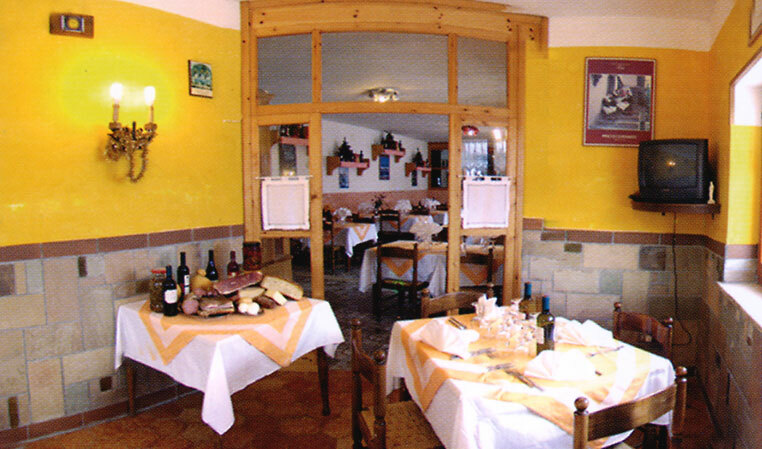 For dinner, when tasty Italian and regional Abruzzo dishes will be served, there is a choice of three first courses, three second courses and three vegetables/side dishes, as well as a delicious dessert. Almost the best facility of all at the Vallefura is its location as a ‘ski to the door’ hotel, with the skilifts, ski rentals and ski pass office all within steps of the hotel. 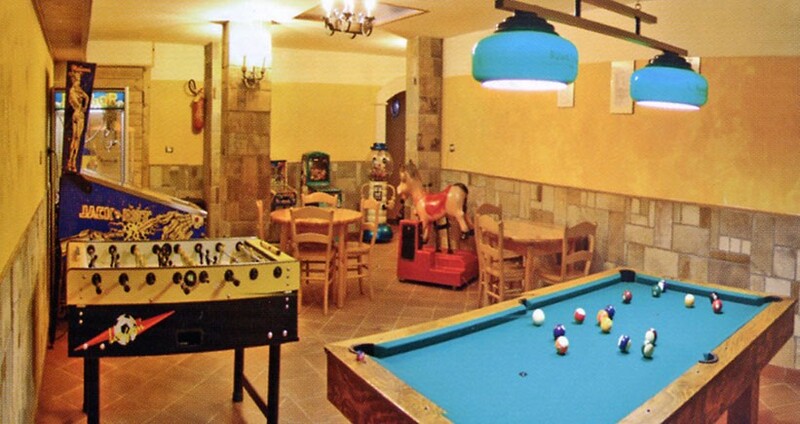 Within the hotel there is a games room, bar and taverna with log fire, as well as a ski deposit. There is also free car parking for guests. The beautiful medieval village of Pescocostanzo is about 5 mins away by car and the slopes of Roccaraso at Monte Pratello are about 10 mins away.